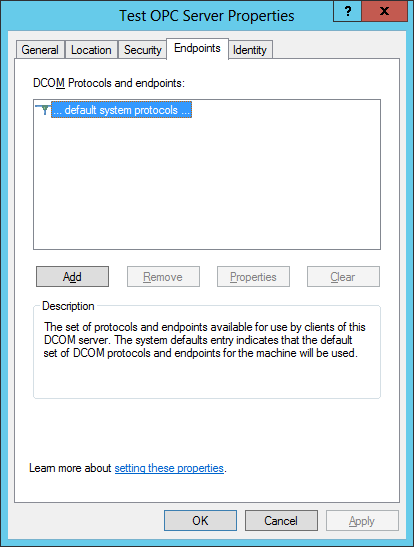 For OPC servers to run correctly, you should specify the DCOM network and security properties. 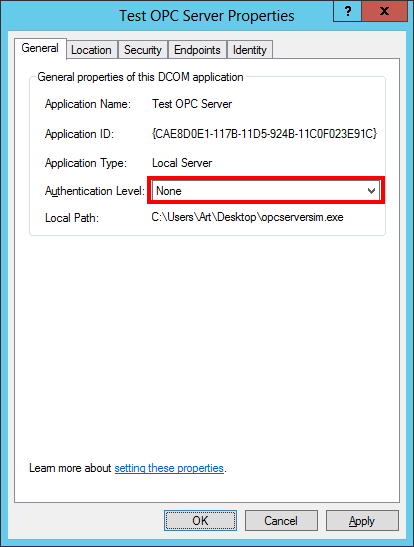 There is no need to configure OpcEnum because this service is automatically configured when you install OPC Core Components. 32-bit version of Windows- dcomcnfg command (fig. 19.1). 64-bit version of Windows, 64-bit OPC server executable file - dcomcnfg command (fig. 19.1). 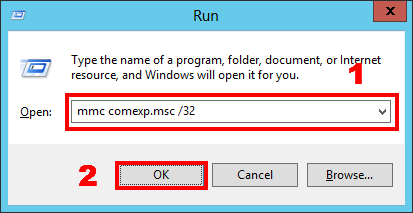 64-bit version of Windows, 32-bit OPC server executable file – mmc comexp.msc /32 command (fig. 19.2). 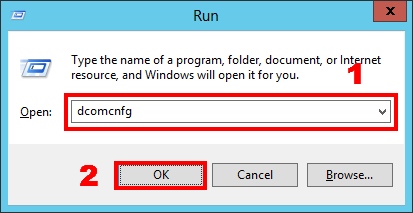 To run the command from the command line, open the Run dialog box by pressing Win+R on the keyboard. 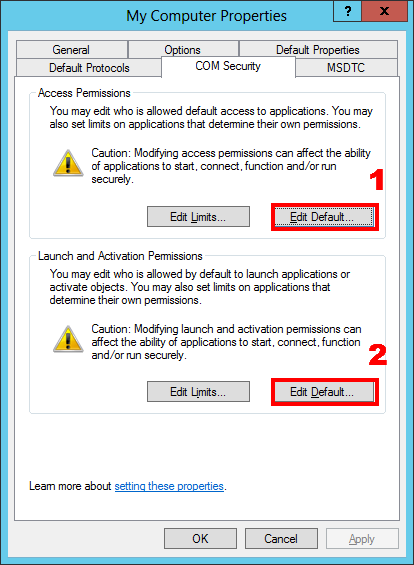 Repeat the operations in the Launch and Activation Permission dialog box (fig.24) that appears when you click the Edit Default... button (fig. 22). 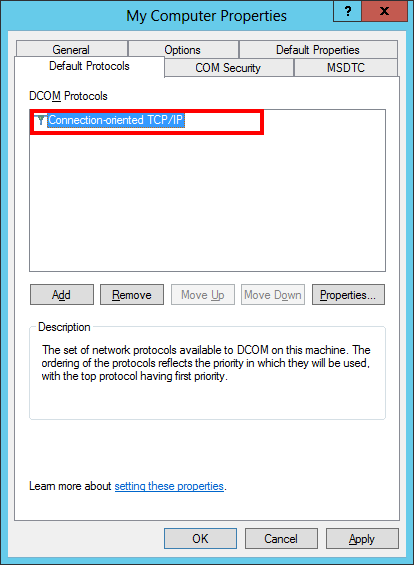 Delete all protocols except for TCP/IP on the Default Protocols tab (fig.25) and click OK to save the changes in the My Computer - Properties dialog box. 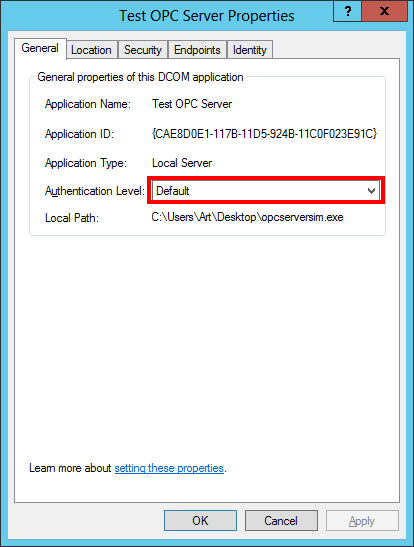 Since all properties have been already specified for the entire computer, you should make sure that the OPC server uses the default properties. 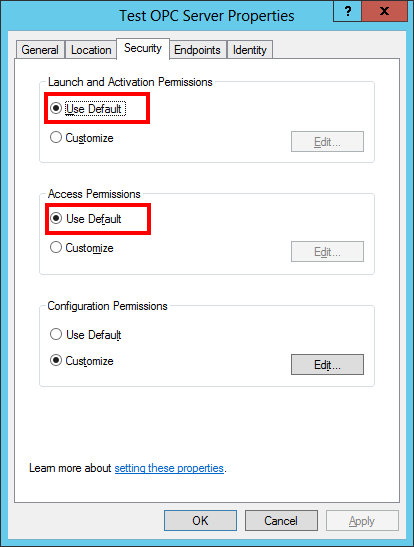 You should specify the previously created user that will launch the OPC server on the Identity tab. Note 1. Before you edit the properties of the OPCserver, you should make sure that it is not running and is absent in the list of active processes. Or restart the OPC server after you edit its properties. Note2. It is necessary for some OPC servers to be launched with administrator permissions at least once in order to get registered in the system and initialize the parameters of the OPC server. They will be available for detection via OpcEnum and connection only after such initialization. Attention! 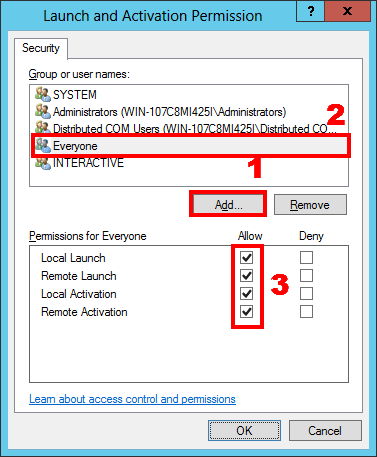 Access permission for everyone may lower the security level of the computer. Sometimes it may be necessary to permit access to the OPC server for everyone, including anonymous users. For example, when the computer with the server does not belong to the domain while a lot of clients will be connecting to the server. Users can run the OPC client using their own account. 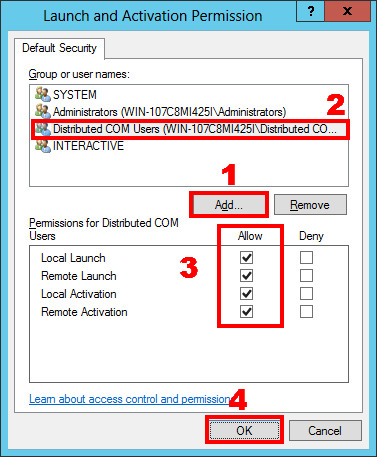 Lower security because ofthe remote access to DCOM for everyone. 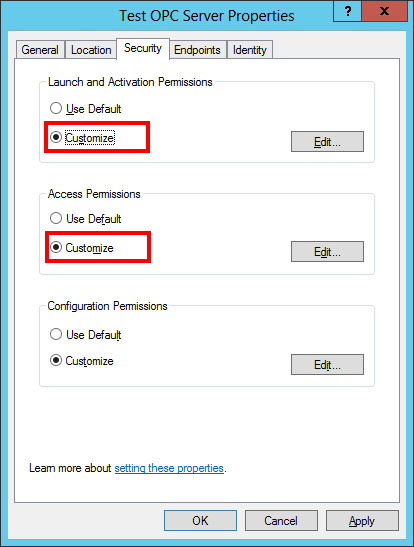 If you want to provide access to the OPC server for everyone, you should configure individual access permissions for the selected OPC server. 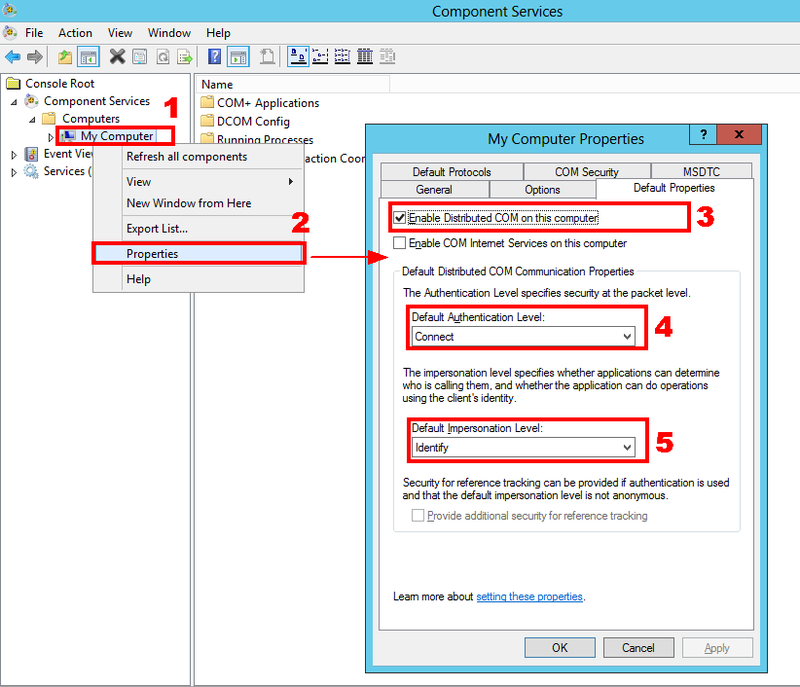 Open the DCOM properties for the OPC server as shown in section 4.2 and edit them according to fig.31 – fig.34. The other properties must correspond to the ones specified in section 4.2. 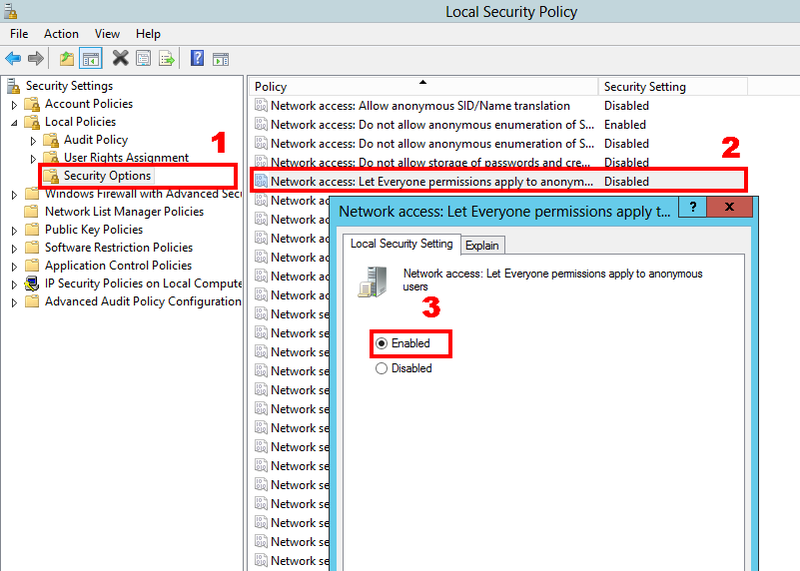 You should configure the local security policy. To do it, you should open the Local Security Policy console. 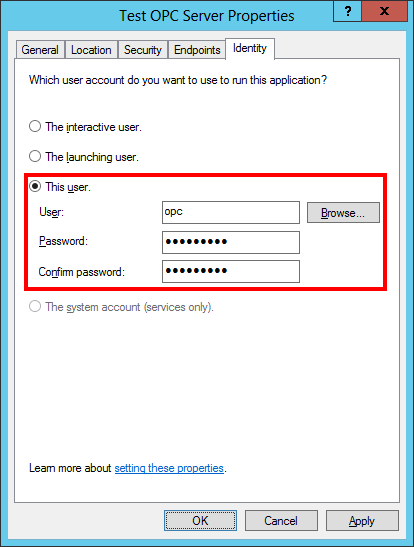 You can open the console by moving the mouse pointer to the corner and selecting Settings - Control Panel - System andSecurity - Administrative Tools - Local Security Policy. You should go to the Local Policies: Security Options section. 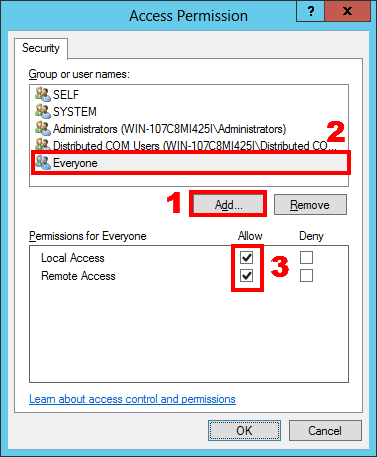 And set the rule Network access: Let Everyone permissions apply to anonymous users to Enabled (fig. 35). 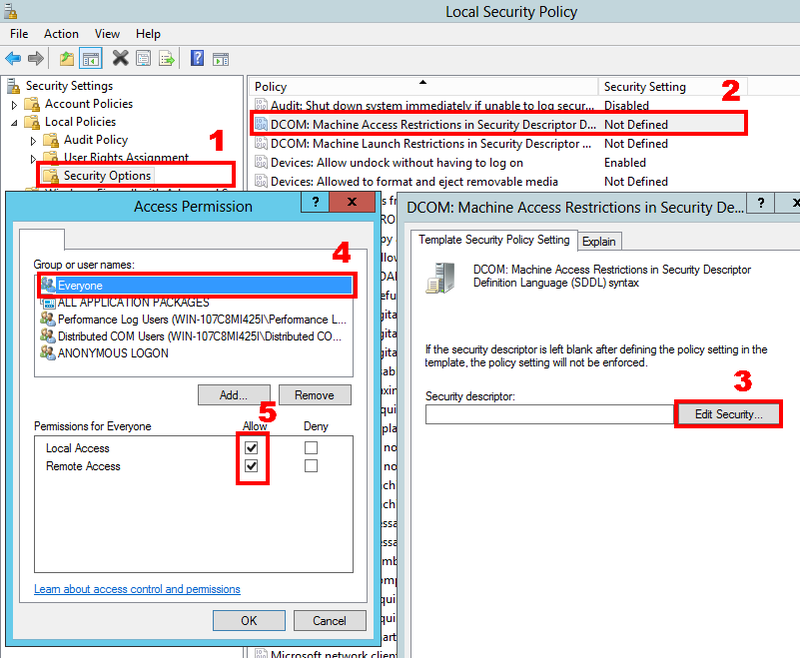 If you change the security policy (as shown in fig. 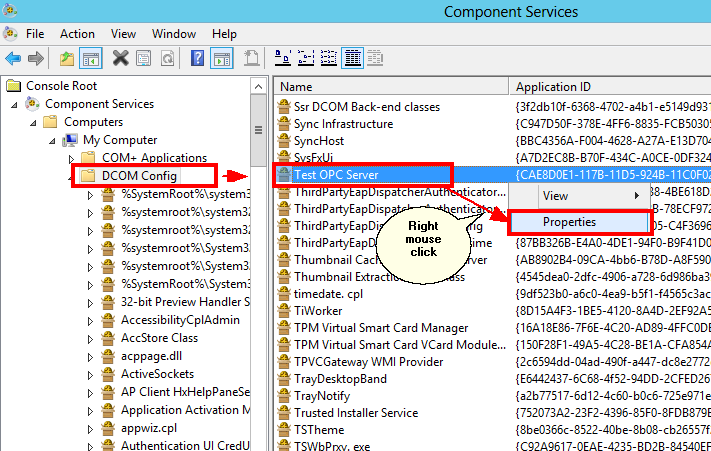 35) and OPC clients cannot get the list of OPC servers and connect to them, you should specify and save advanced security policy properties (fig. 36-37). 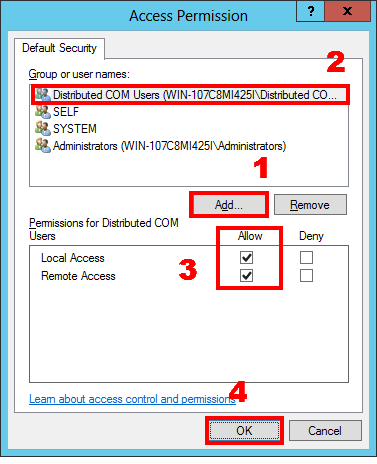 You can find the detailed description of how to add a group or user in section 2.2.